Yaks are good little eaters. Because of their large rumen they are efficient and will eat marginal quality grasses. They will also eat some forbs. In their native habitat they survive on low quality forage, but they also lose up to 25% of their body mass in the winter. That is not acceptable here in the US. 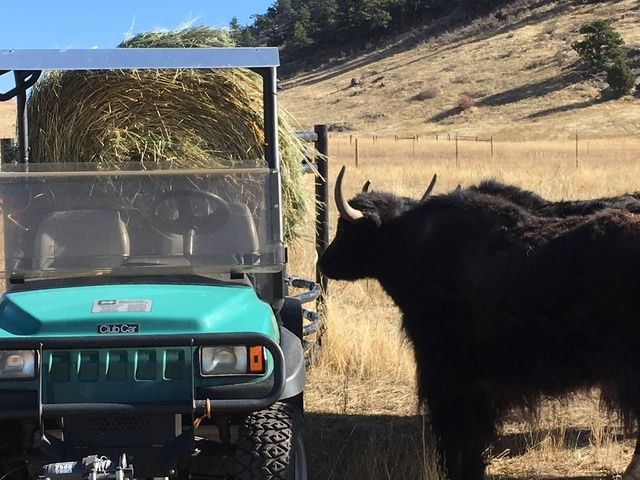 Each yak eats about 10 pounds of hay per day. 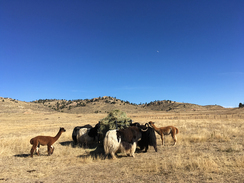 I started our feeding my herd a mixture of really good hay and bottom bales. They did not seem to have a problem with this and just didn’t eat the stuff they didn’t like. Hay in 2013 was costing us $9/small bale for the good stuff (in August) and $7/small bale for the bottom bales. 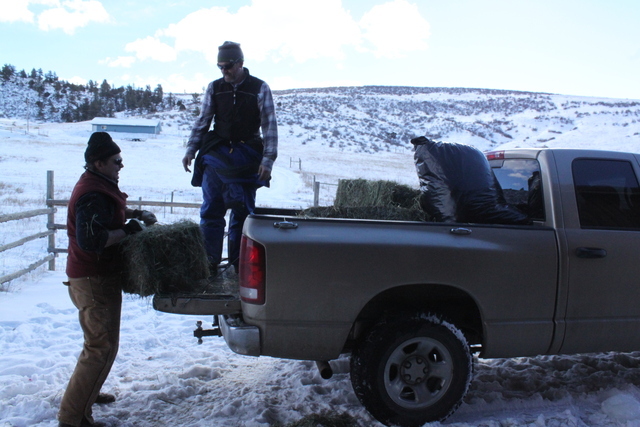 I bought from a local hay grower and the bales tend to be heavy–about 70-80 lbs. That works out to around $200/ton for the bottom bales and $257 for the good stuff. The bottom bales have some bad spots and occasionally a bit of mold. The yaks just push the stuff they don’t like out of the bin. My Alpacas and llamas do the same, but they reject a lot more. Camelids like a wide leaf and reject anything stemmy or too thin. Over time I quit feeding bottom bales. I did this for both health and aesthetic reasons. In the winter I have calves that need to grow, moms that are growing babies and show animals that need to be in top form. It makes sense to get them the best nutrition possible. The bottom bales are just plain unpleasant to work with. The bad parts stick together and are tough to flake off, and, well, ugly. I get some satisfaction out of giving my animals nice green hay. Big rounds or squares might be more economical, but I just don’t have any way to work with them. 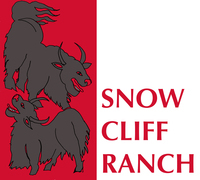 I could get large squares to the ranch, but not to the yaks as our land is very steep and rugged. Maybe I could roll a big round down the hill, but I’m not sure where it would land–probably in the neighbor’s field. This past winter (I start on hay in November) I used small rounds. These are not common, but I found a guy who would deliver and stack for $135/ton. Not bad. The bales are 350-400 lbs. each. The top row could be maneuvered into the back of my UTV and hauled out to the feeder. The bottom rows were harder. I tried winching them up into the bed of the UTV, but it was tough. I ended up having my neighbor use a spear on the back of his tractor to take hay out. Fortunately, he is a really good guy and was happy to do this. This year I am planning to weld together a bale spear system for my UTV. We’ll see how that goes. Grain is supplied by some producers as a supplement or bribe. I bribe with grain. I give the calves unmedicated calf creep and the adults a range cake from Ranchway that has 20% protein. I don’t give much. The calves get about handful or two each to learn to trust me and the adults get a few range cakes and alfalfa cubes. Most of them really like these and others are only casually interested. 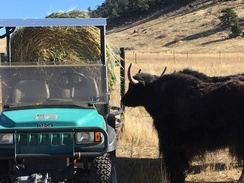 A producer told me they do not use range cakes as they are very hard and yaks do not have upper teeth in front. They recommend a soft horse treat like Dobbin’s Delight Horse Treats. I have tried these and my yaks are indifferent to them. They do not seem to have problems with the range cake.